Check out the latest 5th Avenue Style Spoilers on My Subscription Addiction! 5th Avenue Style Limited Edition Mystery Bestsellers Box Encore Spoiler #2 + Coupons! 5th Avenue Style Limited Edition Autumn Time Box Handbag Spoiler #2 + Coupons! 5th Avenue Style Limited Edition Autumn Time Box Handbag Spoiler #1 + Coupons! 5th Avenue Style Limited Edition Mystery Bestsellers Box Encore Spoiler #1 + Coupons! 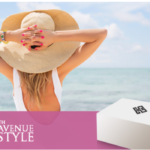 5th Avenue Style Limited Edition Summer Time Box Jewelry Spoiler #1 + Coupons! 5th Avenue Style Limited Edition Summer Time Box Handbag Spoiler #5 + Coupons! 5th Avenue Style Limited Edition Summer Time Box Handbag Spoiler #4 + Coupons! 5th Avenue Style Limited Edition Summer Time Box Handbag Spoiler #3 + Coupons!